Experience your new Mercedes-Benz at its birthplace. Though engineered to perform anywhere in the world, the soul of a Mercedes-Benz truly reveals itself in its natural environment: Germany. Whether you’re winding your way through snow-capped villages or raising your adrenaline on the Autobahn, there’s no better place to immerse yourself in the Mercedes-Benz experience than in its own paved backyard. And that’s why we’ve created the European Delivery Program (EDP). Your European Delivery experience begins with professional travel assistance to assist with your hotel and airline reservations. Upon arrival in Germany, you’ll take a tour of our factory at Sindelfingen or Bremen. Once you take delivery of your new vehicle in Sindelfingen or Bremen, you’ll be sent on your way with a full gas tank, fifteen days of European road insurance, and all vehicle shipping and handling expenses settled in advance. Enjoy a one-night stay for two at your choice of selected hotel in Stuttgart, and breakfast or lunch at the Sindelfingen factory restaurant. After that, explore a variety of recommended hotels and resorts in Europe’s finest cities. In addition to the standard package, you can arrange an extended stay for another 4 nights with these optional self-guided tours preselected (or prepared) by our own European Delivery Program team. Bring out the very best in your Mercedes-Benz on selected roads with a total of five-night accommodations in a variety of first-class hotels. Please contact eurodeltravel@mbusa.com for customized options for routes and hotels. Spend the first night in Stuttgart, pick up your car and enjoy the magic of the brand in the Factory and dip in to the history and heritage of Mercedes-Benz. Drive your car through the beautiful landscape of the Black Forest and enjoy 3 nights in the resort villages of the black forest. Take advantage of the hiking and bicycle trails, or in the winter, over 100km of cross-country ski paths. The last night you will spend in Munich, capital of Bavaria, home to centuries-old buildings and numerous museums. After your European Delivery pick up experience at the Factory you will be driving to Hohenschwangau the next day. Visit Hohenschwangau castle or Neuschwanstein castle, the inspiration of Disney, surrounded by beautiful mountains. From Hohenschwangau you will be driving to Salzburg, Mozart´s birthplace. The city is divided by the Salzach River with medieval and baroque buildings of the pedestrian Altstadt. Your last stop on your itinerary is Munich. Relax in the Bavarian capital before dropping off your car. Enjoy the atmosphere in the famous Bavarian beer halls, including the famed Hofbraeuhaus, founded in 1589. 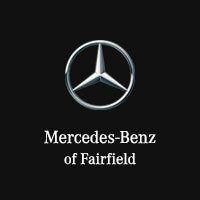 Pick up your car in Stuttgart at the Mercedes-Benz Factory and get inspired by the heritage of Mercedes-Benz. Your next destination will be Strasbourg, France. Explore the old city with its Gothic Cathedral Notre-Dame and enjoy sweeping views of the Rhine River from partway up its 142m spire. On the way to your next destination Interlaken, you will pass beautiful roads into Switzerland which promises breath taking scenery. In Interlaken you have many options to explore the area. Definitely recommended is a visit to the Jungfraujoch, known as the Top of Europe it is the highest railway station in Europe at 3454 meters above sea level. Stop in Wengen, famous for the Ski World Cup or at Grindelwald a well-known town. Drive to Geneva in the morning and stop at Lausanne for lunch with breathtaking views of Lake Geneva surrounded by the Alps. Spend your first stay in Stuttgart and pick up your car at the Mercedes-Benz Factory and dip in to the history of Mercedes Benz. The next morning you will drive to Davos, one of the most popular winter sports resort towns in Switzerland. Before you reach your final destination Nice, you will stop in Lake Como for one night. Enjoy North Italy´s Lombardy region with its dramatic scenery and Mediterranean flair. For your final stop in Nice you will have 2 days to explore the French Rivera/Cote d´Azur. Stop in Monaco, an independent microstate on France´s Mediterranean coastline known for its glitzy casinos, yacht-lined harbors and prestigious Grand Prix motor race. Or take a trip to St. Tropez, a town attracted to the international “jet set”. Pick up your car in Bremen at the Mercedes-Benz Factory and dive into the Mercedes-Benz history. The next morning you will drive to Prague the capital of Czech Republic. Nicknamed “the city of a hundred spires”, it´s known for its old town square, the heart of its historic core and its colorful baroque buildings. The last two days you will spend in Berlin, Germany´s capital and cultural center. Divided during the Cold War, today it´s known for its art scene and modern architecture. Reminders of city´s turbulent 20th century history include its Holocaust Memorial and the Berlin Wall. Mercedes-Benz USA and Delta Air Lines are teaming up to offer our European Delivery customers exclusive savings opportunities on their air travel for $200 per trip. To secure your voucher, contact BCD at 1-855-425-9006 to book your travel and BCD will apply the Delta Voucher. Find out more about our MBUSA European Delivery program for your Mercedes-Benz purchase. Whether you choose the natural majesty of the Black Forest or the celebrated culture of European cultural centers like Paris, Munich or Vienna, our network of hotels and vehicle drop-off points helps ensure that your trip is as convenient as it is memorable. After you’ve completed the registration process, Mercedes-Benz will send you a confirmation letter, insurance information, and other helpful travel details. In order to take delivery of your vehicle, you must present your confirmation letter, your invoice and passport. If you’re taking delivery on behalf of someone else, you must present notarized Power of Attorney approved by Mercedes-Benz USA, LLC. – Is it possible to purchase a non-u.s. specification vehicle? MBUSA can only process orders for U.S. specification vehicles. It is possible to lease a vehicle through Mercedes-Benz Financial Services and pick it up at the Delivery Center in Germany. However, the maximum time you can keep a leased vehicle in Europe is one month. Another option is to participate in the European Delivery Program and lease through a different leasing company. – Can I cancel my order? You may cancel your order; however, a $200 cancellation fee will apply. – Which countries are covered under the insurance? AXA Insurance coverage shall apply within the geographical borders of Europe. – Can the duration of insurance be extended? Customers may purchase additional insurance up to twelve months in length. An extension of the International Registration and Insurance beyond its original expiration date is not possible; therefore, it is most important you order exact insurance coverage required at least two weeks prior to delivery date. Please contact your dealer for rates. – Can I purchase insurance on my own? Unfortunately, other insurance companies are not accepted. All vehicles delivered through the European Delivery Program must be covered by AXA Insurance. – How long can I drive my vehicle in Europe? Up to a maximum of twelve (12) months if purchased, thirty (30) days if leased. The International Registration is limited to the duration of insurance, however not exceeding a maximum period of twelve (12) months from the date of registration. The German Export Registration Plates are not valid in the U.S.
– Is an International Driver’s License required while in Europe? If you travel through Austria, Switzerland & Italy an International Driver’s License is needed. It can be obtained from any AAA location in the U.S., and its cost varies. The vehicle must also have a sticker for travel on the roadways, which can be purchased at gasoline stations (Germany and Austria) and at the borders. – Will I be charged European road taxes? If your European Road Insurance/Registration exceeds three (3) months, the road tax is applicable. The Road Tax is payable at time of delivery in Germany. – Are toll stickers required? Toll stickers are also required on all vehicles on Austria, Switzerland, and Italy´s highways. They can be purchased at gasoline stations (Germany,Switzerland & Italy) and at the borders. Authorities in both countries fine heavily for non-compliance with these regulations. “Vignetta” in Italian, a “Vignetten” in German. – Is Navigation Available for European Delivery Orders? European Navigation package works for all classes offered on European Delivery Program. Upon the vehicle’s return to the United States, the US data is entered into the navigation system by our Vehicle Preparation Center. BECKER PILOT MAPS will not work in Europe and if you have ordered code 001 the Vehicle Preparation Center will include the part in the US before delivery to the dealer. While in Europe, the Delivery Center will provide a portable navigation system at no additional cost to European Delivery orders equipped with the Becker Pilot Maps. The portable unit must be returned at time of drop off. The customer will be required to provide a credit card in the event the portable navigation unit is lost, stolen, damaged, or otherwise not returned. – Will the hotel charge for a third person? Many hotels charge for each additional person, including children. Rates vary by hotel. – What are the European/Austrian laws for winter travel? *While traveling in Europe during the months of November through April, it is the responsibility of the car owner/driver to adhere to local traffic regulations, which require that a vehicle must have winter tires in winter driving conditions, and take appropriate measures for travel in prevailing weather conditions. As stated in the Operator’s Manual for your vehicle, always use winter tires at temperatures below 45 degrees F (7degrees C) and whenever wintry road conditions prevail. See your Operator’s Manual for specific details concerning operation of your vehicle, including information concerning tires and snow chains for winter driving conditions. While traveling in Austria during winter months of November through April, you must have winter tires. If you disregard this, you can be assessed with a fine of up to € 5.000. If you travel through Austria, and/or Switzerland an International Driver´s License is needed. It can be obtained from any AAA location in the U.S., and its cost varies. The vehicle must also have a sticker for travel on the roadways, which can be purchased at gasoline stations (Germany and Austria) and at the borders. Authorities in both countries fine heavily for non-compliance with these regulations. These additional costs are the responsibility of the customer. Cars with “R02 code” All Season Tires (M+S marked on the side of the tire) meet the winter tire laws in Germany and Austria. – Are there any requirements for child safety? German law requires the use of a child safety seat for any child less than 12 years of age and less than 50″ tall. – What is required for customs clearance? U.S. Customs requires a copy of passport or driver’s license as well as the Social Security numbers of the individual purchaser and his/her IRS ID Number (EID) if the vehicle is purchased in the name of a company. A street address is also necessary (a P.O. Box is not acceptable). Without this information the vehicle cannot be cleared by customs. – What can be left in the car for ocean shipment? Marine Insurance only covers the equipment as listed on the Confirmation of Order/Invoice. No other accessories or personal effects are covered during transport. Neither the shipping lines nor U.S. Customs allow other items than listed on the Confirmation of Order/Invoice in the car. – What’s the estimated transport time from drop-off to the United States? The approximate transport time from the drop-off location within Germany to the U.S. East Coast is 6-8 weeks to the port, and for West Coast 8-10 weeks to the port, then you must count in addition to this time, one complete week in Customs and ten working days at Vehicle Preparation Center.